I am sharing this from Pat Sloan's blog . . . . Join us today or any time! Be sure to CLICK HERE to catch up on Pat's prior podcasts! 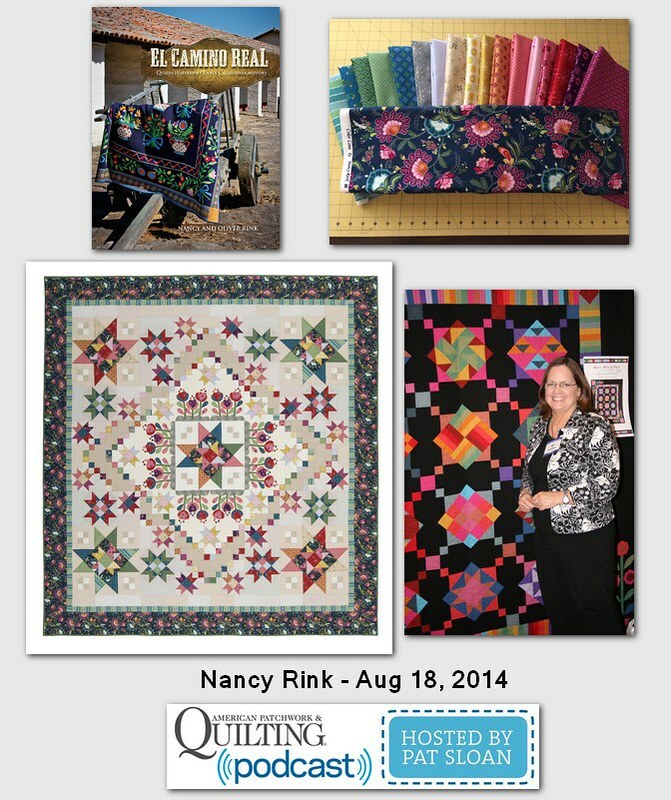 Author, fabric designer, and amazing quilter Nancy Rink is back with me today to share her story about her book El Camino Real and the quilts in it. Plus she has some fun projects going on that you will want to know about!